The Hudson Community Fire Protection District is proud to provide multiple emergency response services to Hudson and the surrounding communities. This is possible due to the hard work and dedication of it's volunteer members and the support of the community. 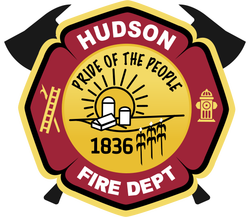 The Hudson Fire Department provides services for fire suppression and containment, vehicle accidents, search & rescue, and extrication. All department members attend regular training and volunteer their time to serve the community. We staff a BLS (Basic Life Support) ambulance 24 hours a day, 7 days a week, 365 days a year to provide immediate response to medical emergency calls we receive. The MABAS 41 Underwater Recovery Team is based out of Hudson. The dive team is made up of certified divers and provides services all over Central IL.